Published On Tuesday, May 17, 2011 By admin. Under: Featured, News, Only Fools and Horses. 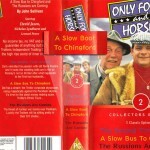 Only Fools and Horses have been rated Britain’s top comedy time, and time again, featuring in many polls; from Britain’s best sitcom, to Britain’s most memorable Christmas TV moment, capturing the opinions as well as hearts of the nation. 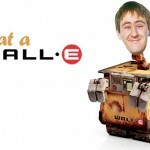 With such a popular series, spanning countless hilarious episodes from its birth in 1981, to the final episode in 2003, you would have thought that a poll to determine what the greatest episode would have been from the greatest sitcom of all time. 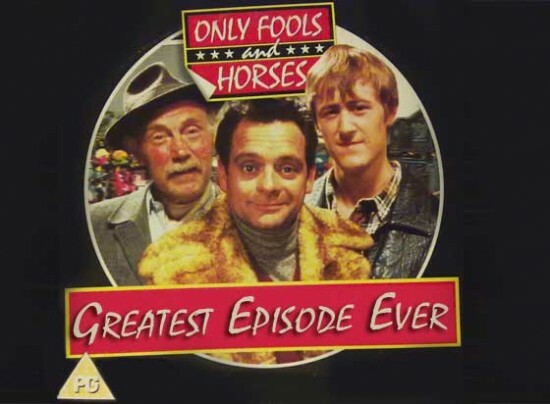 Now long over due, it is time to find out what us, the fans view as the greats Only Fools episode of all time really is. Now this isn’t going to be easy for any fan, deciding which is the greatest episode of the sitcom voted number one in a 2004 BBC poll to find Britain’s Best Sitcom, with all 7 series and 13 Christmas specials being packed to the brim with laughs and unforgettable moments, whether they are comical or heart-rending Wouldn’t this be a real treat to establish what the greatest episode would be, and why? 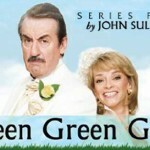 Further more, it would prove a fitting tribute to the late genius who brought us this immense show, John Sullivan, undoubtedly the best comedic writer of his time. 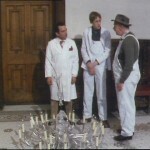 To name but a few of the most brilliant moments from some of the most memorable episode we’ve shared with the trotters, such as the blowing-up of the coach in Jolly Boys Outing, Del and Rodney dressed as Batman & Robin, and the moment Del’s ‘this time next year, we’ll be millionaires’ phrase came to life. 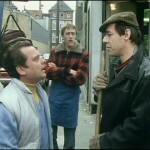 No doubt as your reading this, you’ll be picturing these moments and many, so in the sprit of Del boy, come on you Plonkers, get your mouse’s at the ready and let’s show our real appreciation for this classic British sitcom by taking part in the poll for the greatest Only Fools episode of all time. Strangers On The Shore was just an epic episode glad the 2000’s trilogy was’nt crap it had a lack of laffs but still delivered it would be a favourite of mine would any of yhee say it’s a classic or just a funny great episode. my favourites are Prussia with Love-albert’s line is priceless everytime i watch it albert to del i speak abit of german Del ok then (or something like that) albert Vot is your name del’s face is classic in this bit he’s winding me up a’int he . heroes and villians batman and robin is a classic episode everything in that episode,they see batman and robin everytime of the week don’t they and dels yes we phone the rac and say we’ve broken down and get through the prats deparment . and jolly boys outing Trigger’s i lost my dolphin and Mickey here come the coachbuster’s . The Unlucky Winner Is … It’s a brilliant episode with twists and turns, and lots of laughs. Even though there not liked much I enjoyed sleepless in Peckham because lots of my questions then had answers. To be honest, I didn’t belly laugh at Yuppy Love and at falling through the bar. The chandelier scene was much better. I suppose if I had children the question ‘Greatest episode of all time’ would be like someone asking me to pick my favourite member of my offspring. So many episodes demonstrate what made it such a great sitcom. 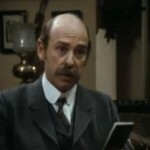 Although I love Uncle Albert I think Lennard Pierce seemed to nail each line he was given in every episode and could change scenes with his excellent acting. Often he played the simple, senial character but still managed to have a crafty side (playing the brothers in order to get an invite on the holiday). The story of why Grandad thinks he has been arrested is typically in OFAH fashion funny and whilst still be far fetched, it is believable. John Sullivans writing and jokes are spot on and each character demonstrates their personality in the story (Del managing to con the travel agent to get the holiday). I suppose each person has their own opinion on what makes a great episode but to me the earlier series have always been funnier and had greater stories. My Best was If they could see us now. I loved the goldrush bit. My worsts was a royal flush where was the laughing track? Anybody who chooses their favorite will have a tough task.With so many episodes over 20yrs to choose from the debate will always rage!! Which is fantastic as it shows how this classic has touched so many people. I watch them everyday and love them all, for a show to make somebody laugh soo much over and over again is a wonderful thing.For me its Dates, Jolly Boys, and Time on our Hands. 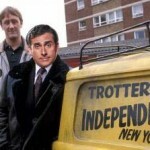 Its a testament to the late great John Sullivans writing that OFAH is still going strong and adding new fans everyday!!!! gotta go with dates. Del was his typical self acting like a upper class man when he lived on an estate whn he was introduced to racuel at the dating agency. the episode flowed well and i had a lot of good laughs. john sullivans fav episode as well apparently. I thought tea for three was a great episode. Seeing Rodney get the upper hand on Del was a rare treat. I had to go for Time On Our Hands. It was the perfect send-off for the show – I still can’t quite believe that they spoiled it by bringing back the show for three (relatively) poor-quality episodes in which two key characters were missing and the most perfect ending imaginable for OFAH was undone. Yes, time on our hands should have been a great conclusion to the series seeing del and rodders hit the jackpot but the three other episodes at least enabled the audience to witness rodney become a father. yeah i agree it would have been but it wouldnt be the trotters if they didnt mess things up would it ? Only Fools is a classic show! If I had to name one episode that stands out from the rest, it would be To Hull and back. Why? Because it had a great story line. The Trotters had to work so hard knowing that Roy Slater was on the trail. It really had me on the edge of my seat. Magic! Jolly Boys Outing – featured all the entire cast and was the episode which rekindled del with raquel again for the rest of OFAH. Some classic scenes in it as well such as the coach blowing up. Classic so for me this was the best episode. Miami Twice second episode the peak of only fools probably and seeing David Jason play two different charachters was something new. That was a seriously underrated episode and up there with the best. ‘Who a pretty boy’ the worst episode? I know we are all entitled to our opinion but that seems a strange choice to me. Mine would have to be ‘If they could see us now’ but I understand with the death of Albert and Mike and trying to make them lose their fortune it was never gonna be easy to write. Also ‘A Royal Flush’ I loved 90% of this episode, but it’s the final 15 minute that makes it hard for me to watch this. I know at times Del could be cunning and always up to no good, but at the end of this episode he seems to get nasty, and very unlike Del. At that doesn’t make good viewing. I see where you both are coming from. Each OFAH episode is a gem and I think that the only way to choose best or worst episode would be if you owned the complete set and then noticed which episode you would most/least likely watch. Just as your view of the way Del treats Rodney at the end of ‘A Royal Flush’ tends to mar the episode for you. For me, its just Densil & Coreen’s acting in ‘Whos a Pretty Boy?’ that does it for me, reminds me of a school play. I guess I could press “>>” (FF) couldn’t I. When I read each comment about which episode you all picked I think “yeah! that one!” because wow, its soooo amazing how so many episodes are so great! Since this is an impossible task I thought of a different way for me to judge…well, since I own OFAH on dvd, I thought of which episode do I put on most! 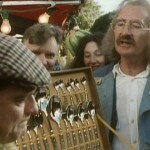 It seems to me I put on Yuppy Love & Jolly Boys Outing more than any other episodes. Here is another POLL for ya, which is the WORST episode & I am pretty sure you’ll agree, that its “Who’s a Pretty Boy?”. What do you think? but who’s a pretty boy as worst – no way! Very, very difficult. We love them all. Don’t make us choose !! ha ha. Ok. As we have 3 choices I’ve chosen a christmas special (time on our hands), a 50 min episode (Yuppy love) and a 30 min (Ashes to Ashes). Healthy compatition, Frogs Legacy and Jolly Boys outing. Honourable mentions to The Yellow Peril, Strained Relations, To Hull and Back, Video Nasty, etc etc. hmmm…..many to choose from….have to put hull and back in there a true gem…and my fave half hour episode tea fo three so many good parts in that episode….and finally…errr…a surprise maybe but the original royal flush with no laughter…sadly no..jolly boys..friday 14th..it never rains..longest night..wanted….chain gang…oh dear it is difficult!! A losing Streak, Thicker than water, Jolly Boys outing. Hope the BBC start a re-run. they have been showing CS on BBC Two in out of respect. The Russians Are Coming – Love the concept of the episode, and when they’re actually in the shelter, you feel a heart-warming sense of love. Also there is some hysterical scenes in this episode! Times On Our Hands – LOVE, LOVE, LOVE THIS EPISODE! But overall I love every episode, but these are my fave. It will be tough, but worth it… Let’s here from more fans on this subject! Its a toght choice for sure as to the best episode, However the sight of those dolls coming up behind the sofa has me in stitches everytime.